Budget Waste Management is a prominent waste recycling company situated in the picturesque setting of the Cotswolds and Vale of Evesham. The company effectively deals with the ever-growing demands of waste disposal, recycling materials in the ‘greenest’ way possible. The company caters for a wide range of customers, including domestic, construction and many local businesses, on a daily basis. Landfill is the most expensive method of disposal so our expansion and investment program fulfils our wish to be at the forefront of the industry which is why we are known as the “green” skip company. Who are we? Evesham Trade Centre opened its doors to local tradesman in June 2011. After 3 successful years supplying window fitters, builders, property developers and roofers alike we have decided to open our online shop to broaden our catchment area. Founder members Glen and Mike have been involved within the domestic building industry for a combined 30 years, not only have they managed teams of window fitters and roofing contractors, they are both very hands on and are still currently involved on a day to day basis with the installations and projects of their 2 other companies. What do we do? We supply everything from PVCu windows and doors to EPDM Rubber roofing membrane, Fascias Soffits, Guttering, Composite Doors, Conservatories and lots, lots more. How do we do it? Our company strategy is simple; we buy quality, renowned products and sell them on at a sensible affordable price. We have deliberately kept our overheads low to enable us to pass on the savings directly to our customers. We believe in value for money and adhere to maintain that stance with all of our product lines. National Merchant products at local prices. The twist? Often you hear of companies vouching for products but never actually use them themselves. We are proud of the fact that everything we sell through our trade counter is used by our two sister companies for installations that we carry out. This gives us the confidence to promote the products based on quality and experience. ABOUT US The Fire Protection Association (FPA) is the UK's national fire safety organisation and we work to identify and draw attention to the dangers of fire and the means by which their potential for loss is kept to a minimum. Since our formation in 1946 we have attained an unrivalled reputation for quality of work and expertise in all aspects of fire including research, consultancy, training, membership, publications, risk surveying and auditing. Our products and services are designed to assist fire, security and safety professionals achieve and maintain the very highest standards of fire safety management. 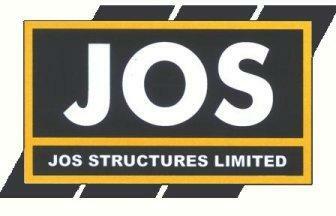 JOS Structures Limited is a Midlands based company established in 2004. We are specialists in reinforced concrete structures. Bringing you the best in ground pod coffees, soluble and bean-to-cup coffees. As well as serving businesses with a large range of coffee making and serving solutions, we also have a thriving domestic arm of the company, supplying top quality pod based coffee for your home. We have a long history of supplying drinks services to business and also operate a water cooler business called Aquaid Midlands. We have sales representatives all over the UK and are one of the only coffee machine sellers who have a dedicated showroom for our clients to view and test the machines they are contemplating purchasing. Some hot drinks companies will sell a huge and complex range of coffee machines - we are different because we specialise. We only sell what we believe to be the best machines for each job - either filter or espresso, small business or mid-range. We sell machines for the home which are commercial grade, and to businesses, machines capable of delivering 100 cups a day and beyond. Most importantly, the coffee which goes into each capsule or bean is already proven to be the best money can buy - we do not sell cheap, bargain coffee which compromises on taste - we have found the best machines and the best premium quality coffee in the Ground, Soluble and Bean to Cup sectors. We even supply a commercial grade machine for the home - Keurig lends itself to being used at home, providing top quality ground coffee at the touch of a button, but still very affordable to people not willing to compromise on quality, but want the convenience of clean and easy-to-make pod-based hot drinks. Stateside Coffee Company is committed to providing every customer with an excellent overall package of product and customer service. We do our utmost to ensure that each and every customer receives the best possible service and where appropriate, we can tailor our offerings to fit our customers’ needs. Cotswold Oak Ltd manufacture and supply bespoke high quality joinery to the public and trade. We offer a friendly and efficient service and manufacture any item tailored to specific requirements and personal choice. We have our own joinery workshop where we produce high quality joinery items for our own developments as well as for our clients. These items range from a single hardwood window that might be made in oak, idigbo or sapele, to a purpose built bespoke kitchen or orangery carefully hand crafted to the highest standards. In addition to the joinery we offer, we also have an established and highly successfully construction team to look after and complete all manor of projects. Utilising our in-house Quantity Surveyor through to our highly experienced project managers and skilled trades, we offer the complete construction package. We have completed numerous developments and construction projects ranging in all sizes and specifications. We have an excellent geographical position, situated on the border of Worcestershire, Warwickshire and Gloucestershire, located at the foot of the Cotswold Hills. It all starts with engagement. We build proven, compelling solutions that engage with users throughout all levels of your business from retail staff and managers, through field force, to national and international decision makers. We produce "Spot Loggins" ice cream with the finest organic milk from our cows, and wherever possible, use local fruit to enhance the natural flavourings used in our wide range of flavours. Buzz Electrical is a highly-respected and established Electrical Contractor with over 25 years of experience, based in the Vale of Evesham, Worcestershire. Tom Cook Carpets is family run business that has a huge selection of carpets, vinyl’s, laminates. Our flooring product range is extensive and caters for both Domestic and Commercial usage and spreads across many leading brands. A full fitting and measuring service is available and we are happy to give you a full written quotation without obligation. PJ's philosophy on customer care is at the very centre of the high standards you have come to expect from this long established family business which has served the people of Worcestershire and Gloucestershire for over 20 years. Whether you're buying a car, booking a service, or putting a fiver's worth of fuel in your petrol tank - PJ's staff are always on hand to make sure that your visit is a pleasant and productive one. For over 50 years Peak Trailers have been a major supplier to the trailer building industry in the UK and overseas. Manufacturing a comprehensive range of trailer undergear, axles, suspensions braking and steering systems. Peak also provide a full range of other equipment required in trailer manufacture including various coupling types, wheels, jockey wheels, lights, mudguards and trailer body fittings. 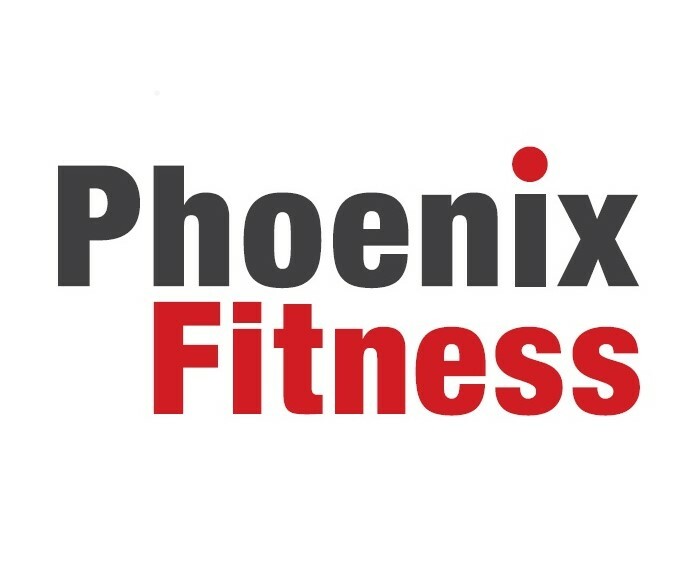 Specialising in both commercial and private clients we offer a comprehensive business service supporting all financial aspects of our clients' needs. On the commercial side we offer business and financial advice assisting our entrepreneurial clients to grow their businesses to profitable and optimum levels whilst at all times minimising their business taxation. BHGS is a leading horticultural supplier based in the Vale of Evesham. Primarily catering for the commercial grower we also supply allotment & garden associations, councils, private & public gardens and retail customers. With over 100 years of horticultural experience BHGS are major distributors for many horticultural manufacturers. We have recently expanded to include BHGS Goodwood based in West Sussex, who are experts in amenity and landscape products and JFC Monro in Hayle, Cornwall.